I’ve also been working on something else a bit more in my comfort zone (who’s yawning at the back?!). 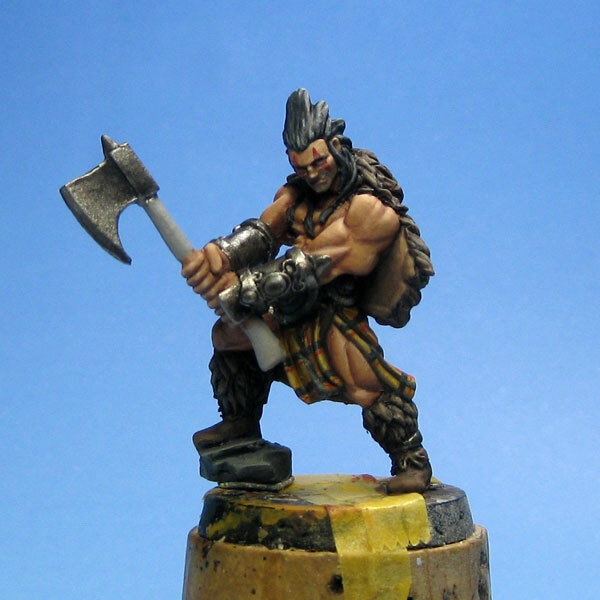 This is one of two barbarians I am painting for JoeK Minis. 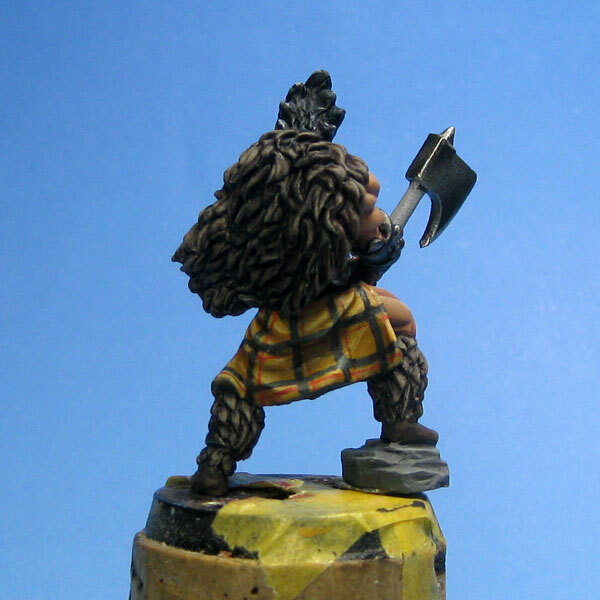 The photos aren’t great – I need to work on the white balance on my camera again for the blue-white background (I think I might have accidentally left it set for the black background). I have been really trying to push the contrast in my metallics and in the photo below I have taken the colour from Leadbelcher (the new boltgun metal) down to black and I will bring it right up to a bright Vallejo Model Air silver who’s name escapes me.